It’s a Space Invaders themed wallet! So, your current wallet is super bulky, but still doesn’t give you the storage you need? Sounds like it’s a serious space invader. But, ironically, the solution to your problem is a serious Space Invaders wallet! When the aliens are coming down in droves, interplanetary politeness goes out the window. It’s time for things to get explosive, and that’s exactly what this wallet manages with its out-of-this world imagery. It features the classic Space Invaders logo on the front face and an epic alien-blasting battle scene on the inside! This wallet is made from PU, which means it’ll last as long as your skilfully-executed assault on the extra-terrestrial horde. And, with loads of storage space and amazing imagery, you’ll love it more than the people of Earth love you for saving the planet! 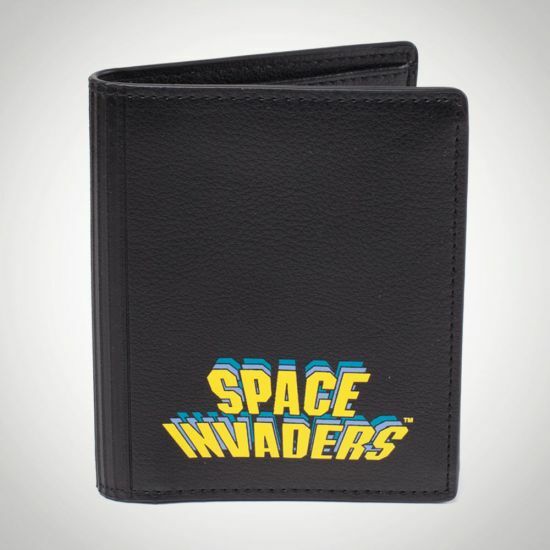 So, don’t wait for contact… get your Space Invaders PU bifold wallet today!